PEARLAND, TEXAS, NOVEMBER 9, 2017 – MBS Secure, provider of The Complete Cloud™, announced 3D-imaging cone beam support in the cloud, an industry-first solution enabling dental professionals to view i-CAT™ Tx STUDIO™ 3D dental images from any location. Multi-location dental operations such as DSOs (Dental Support Organizations) can now reduce cumbersome IT infrastructure, cut costs, and improve patient service by providing secure access to images in the cloud. 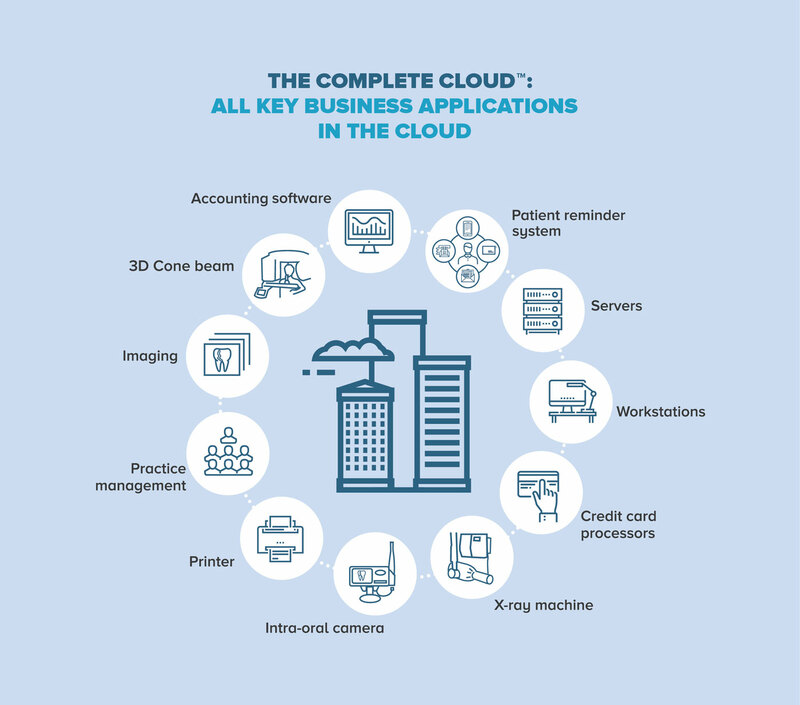 MBS Secure simplifies the use of 3D imaging by hosting these large files in The Complete Cloud™, cutting time required to load files, money spent on in-house infrastructure, and time spent in the office. “Like many dental operations, our IT was primarily all on-premises. As a multi-location site, this meant that in order to prepare for surgery, I had to travel back and forth physically between locations in order to access the 3D x-ray images from the i-CAT™ machines, with many late nights trapped in the office or having the foresight to save images to a disk and carrying them everywhere. Now, through The Complete Cloud™, my preparation has been cut dramatically. Our doctors can share information more easily and our patients enjoy the benefits of being able to receive faster and more efficient care at any of our locations ”, said Dr Vernon Burke, Partner, West Texas Maxillofacial Surgery based in El Paso, Texas. This solution is the latest from MBS Secure, which specializes in bringing into the cloud the many disparate pieces of technology required for optimal dental practice performance today, including scheduling, billing, dental images, patient and administrative records, and more. Headquartered in Pearland, TX, MBS Secure offers The Complete Cloud™–a best-of-breed, fully integrated network customized to each client to create a true single cloud environment. The Complete Cloud™ from MBS Secure reduces ongoing capital, maintenance, and staff expenditures while providing secure and HIPAA-compliant accessibility to all operations and processes.